Read the full article here in the Daily Titan. 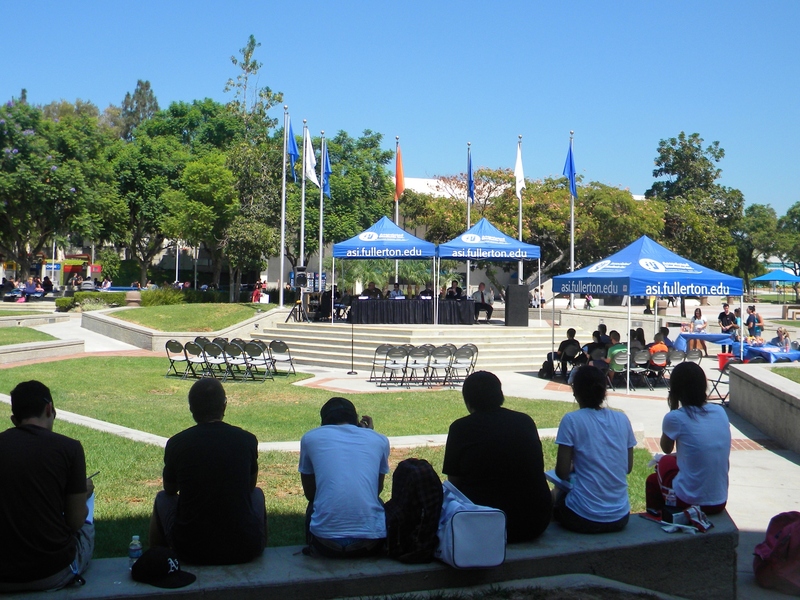 Constitution Day festivities were kicked off at Cal State Fullerton with a panel that examined hot-button issues including health care, immigration and the 2012 elections at the Becker Amphitheater Thursday. 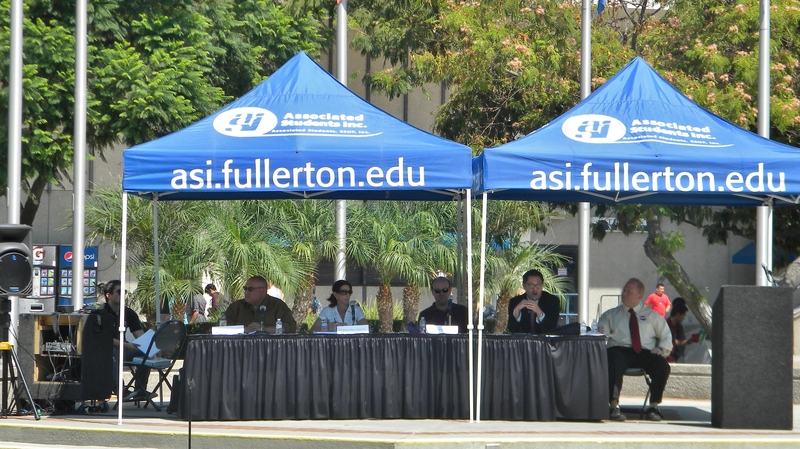 About 80 students braved the heat to attend the noontime panel, “Contemporary Challenges to the U.S. Constitution.” It was sponsored by CSUF’s Division of Politics, Administration and Justice; Associated Students Inc. and the Office of Government Relations. 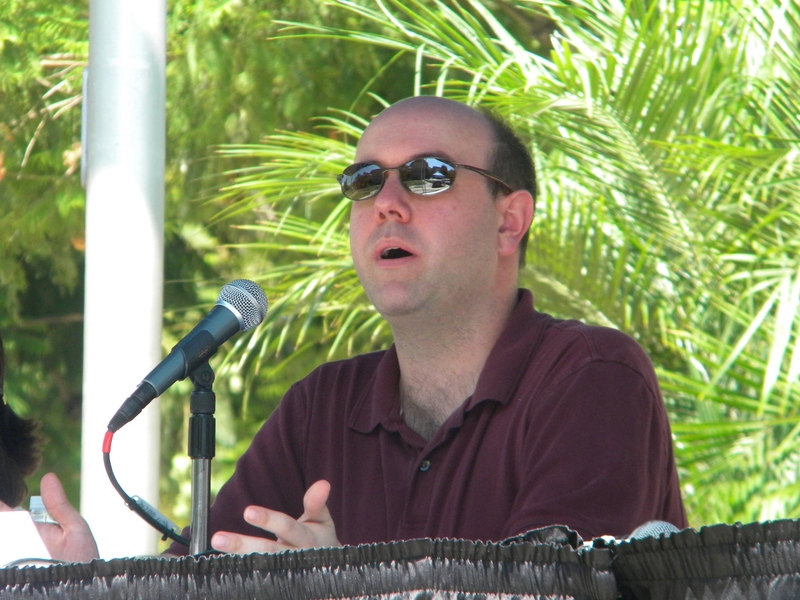 “We’re going to celebrate the 221st birthday of the signing of our venerable Constitution and its longevity suggests that it continues to be relevant,” said Scott Spitzer, assistant political science professor and moderator of the panel. Political science professor Matthew Jarvis, Ph.D., talks about the elections in the panel. CSUF’s keynote Constitution Day event, a panel on the death penalty and the costs of capital punishment, is Wednesday at 6:30-8 p.m. in the TSU Pavilions. Constitution Day, celebrated annually Sept. 17, commemorates the adoption of the Constitution and recognizes new U.S. citizens.